A lot of fun cross-references and viral goodies for the geeks of the world this week. 1. The first one being the amazing cross over art featured to the left. It's a glorious Disney mash-up of an iconic Haunted Mansion stretching portrait and Snow White. Artist Robert Farrell created the beautiful painting on canvas for Disney Studio Art. If there's one store that I could easily lose self control in when I visit the parks, it's the art stores with all their retro ride posters and film stills. 2. Lots of blog-inspired goodness over at Five Sprockets this week. 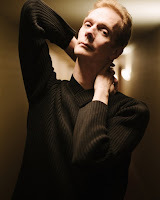 Jake wrote a blog all about the duties of a director and I let readers in on some script news and some little known new releases. 3. Some fun Star Wars PSAs were shared on Facebook. We have a few on our office wall right now. But these were new to me. My favorite? 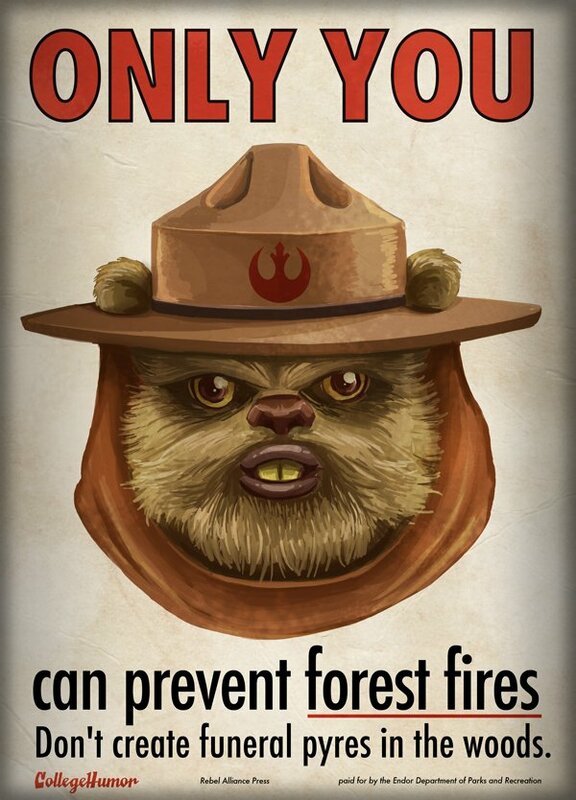 The Smokey the Bear inspired Ewok forest fire prevention poster. Priceless. 4. Last but not least, 15 Unintentionally Hilarious Toys. Almost all of them not so subtle knock-offs.